Two weeks ago Resonate started a Purpose series walking through each of these five purposes as a ministry starting with Loving God. 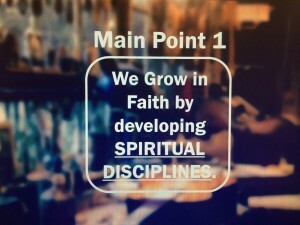 Last week we talked through the purpose of Growing in Faith. 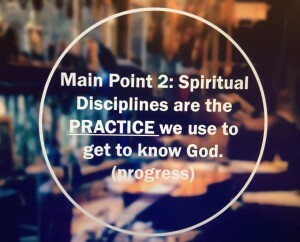 Main Point 2: Spiritual Disciplines are the practice we use to get to know God. 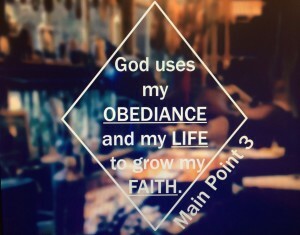 Main Point 3 God uses my obedience and my life to grow my faith. 9 This saying is trustworthy and deserves full acceptance. 10 In fact, we labor and strive for this, because we have put our hope in the living God, who is the Savior of everyone, especially of those who believe. These verse tell us that training only your body has limited benefits, but training for godliness is beneficial in every way, for this life and the life to come. Spiritual disciplines are the practice we use to prepare ourselves for heaven.